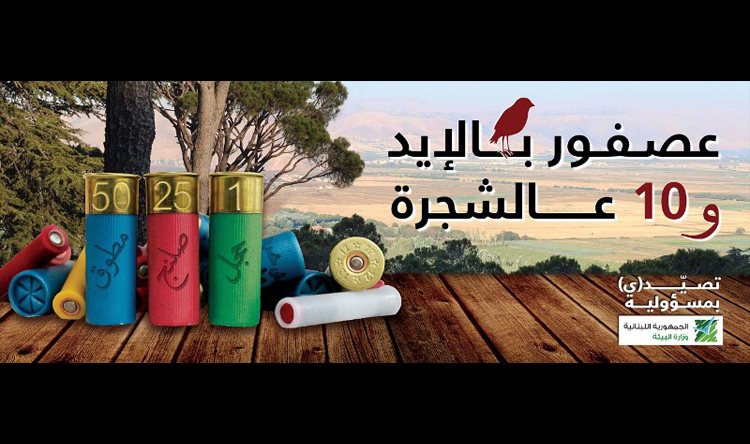 Tarek Chemaly: The Ministry of Environment and the brilliant regulated hunting campaign. The Ministry of Environment and the brilliant regulated hunting campaign. Where does one begin with this beauty? It all starts with the classic Lebanese proverb "better one bird in hand than ten on the tree". Which got twisted into "better one bird in hand and ten on the tree" - this is the campaign for regulated hunting. 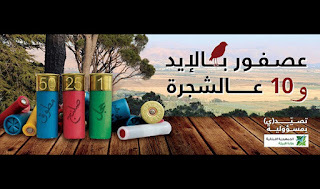 Yes, the bottom line reads "hunt in responsibility" which when written the way it was in Arabic seems to be addressing male and female hunters. Sure, maybe there are not a lot of female hunters out there but thinking about including them in this egaletarian ad is a stroke of genius. I have a feeling this will hit my top 10 best ads for 2018 and we are still at the beginning of the year!